Discover Main Street Fun Ride to take place Saturday, October 10th at 10:00 a.m. It was too good of an idea to be stopped by a little rain. A fun bike-riding event on Main Street in Clarence will take place on Saturday, October 10 at 10:00 a.m. beginning at the Clarence Hollow Farmers’ Market at 10717 Main Street, Clarence, NY 14031. The event was originally planned for September 12, but rain forced a postponement of the ride. Riders who signed up for the September event are now registered for the upcoming fun ride. “Discover Main Street Fun Ride” will be a fun morning for casual and serious bikers alike. The purpose of the event is highlight community support for a “bike friendly” Main Street, including bike lanes, signage, and ultimately bike racks at key stopping points along the route. Funds raised by this event will help fund bike racks along Main Street. The first project is a new Main Street bike corral by area sculptor Mark Griffis, planned for the Clarence Hollow Farmers’ Market. Griffis is known for his work in creating functional street art bike rack installations in the Elmwood Village and Cobblestone District. Riders can chose to ride one of two routes: a 1.75 mile Youth and Family Route or a 11.75 mile Main Street ride. 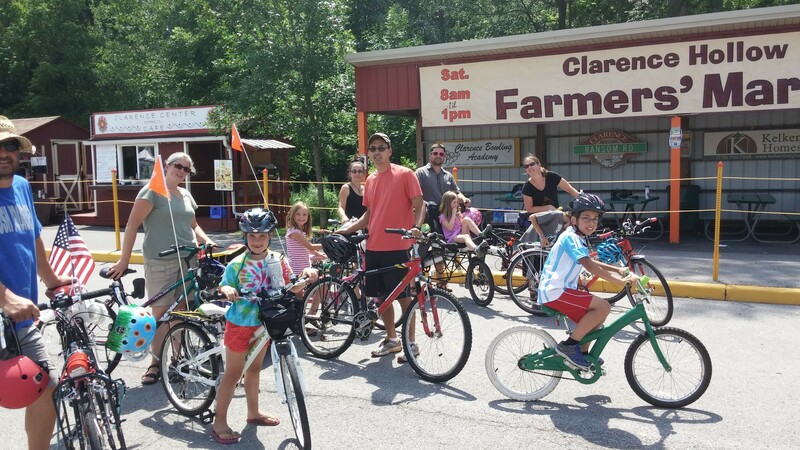 The ride will kick-off at the Clarence Hollow Farmers’ Market at 10:00 a.m.
Organizers of the event are hoping to create an awareness of bicycle traffic and the community-wide benefits it provides. Vibrant communities value the benefits brought to them by people who ride bikes. Bicyclists tend to explore and patronize businesses due to the slower pace and sense of exploration. 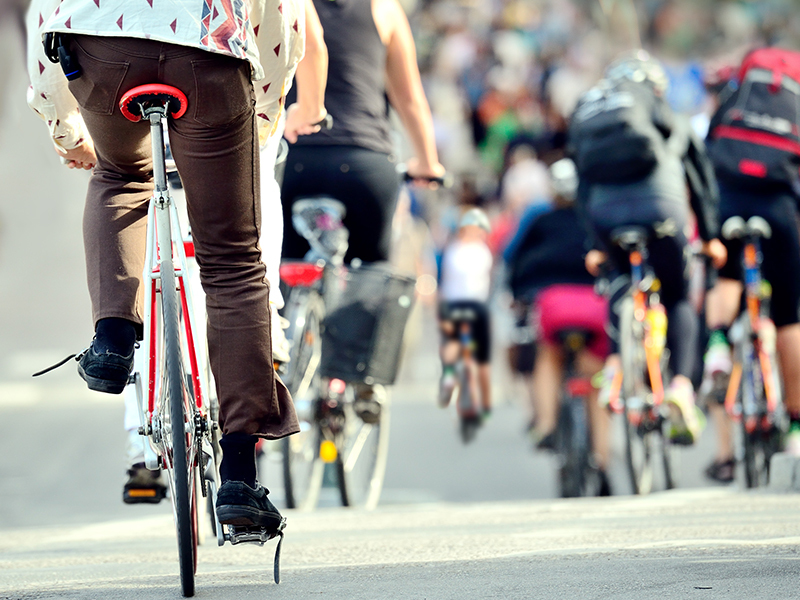 Bicyclists from outside communities travel to those “bike-friendly” towns that have safe and accessible biking options.